The Georgia State softball team wrapped up another season recently after they were eliminated from the Sun Belt Conference Tournament. The Panthers entered the conference tournament as the No. 3 seed and won their opening round matchup against South Alabama before dropping two straight games against Louisiana and Texas-Arlington, which would lead to their exit. The season was a rollercoaster for the Panthers; they started off 0-4, but quickly recovered. They dealt with critical injuries, but also got some excellent contributions from younger players, like freshman shortstop Sklar Mosel. They also got a star-studded performance all season long from catcher Ivie Drake. Drake had an excellent senior campaign. She was named the conference player of the year, and either led or was ranked in the top-five in almost every offensive category this season inside the conference. The senior finished the year with a .409 batting average, 65 hits, 12 doubles, three triples, 18 home runs and 60 RBIs. Drake also set the Georgia State record for career runs scored with 214. “I will remember Georgia State as being one of the best experiences I have had. Being given the opportunity to not only get a great education but also compete at such a high level of softball against some of the greatest teams is not something everyone gets to do. I will remember it being a time meeting some of my best friends and making the best memories,” Drake said. Litumbe was voted to the All-Sun Belt First Team. This season, she batted .293 with 48 hits, 11 doubles seven home runs and 30 RBI. Litumbe finishes her career with 60 home runs, which ranks sixth in conference history. “Megan and Ivie are both once in a lifetime players. We were extremely blessed to have them play together. I can’t imagine making a lineup without them in it. It will not be the same without them. I can’t even begin to tell you how much I will miss them. It is very hard to replace the irreplaceable. We will have to adjust to a new era without them. It will be tough but we have to do our best to keep moving forward,” head coach Roger Kincaid said. 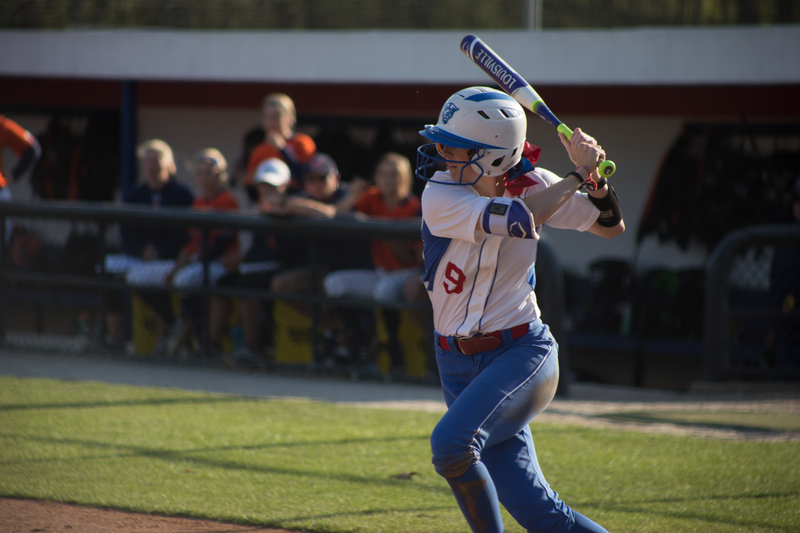 The Panthers were dealt a crushing blow early in the season when they lost pitcher Emily Soles for the season due to injury and were left with two pitchers the rest of the season. Pitchers Mandy Chance and Kinsley Jennings threw a combined 315 innings this season and both had an ERA under four. Those two proved to be real ironmen for the team, and they threw two gems in their final two games giving them a chance to win, but unfortunately, they came up short. Next season the Panthers will have to replace six seniors, Drake, Jennings, Litumbe, Taylor Bradley, Cassidy Faulk and Brenna Skalski. “The Seniors: They are very important to me and my family. They have all been a part of my family for the last 4-5 years and will always be a part of my family. They are all outstanding people and I can’t wait to see what all they will accomplish in the future. I get emotional just thinking about them not being here next year. They may be gone but they will never be forgotten,” Kincaid said. Georgia State got a promising season from Mosel as she was named to the All-Sun Belt Second Team. The freshman batted .300 with four doubles, six home runs and 25 RBIs. The team will look a lot different next season without the seniors, but it will be interesting to see what the line up will looks like.